MRHS concessions is the largest source of income for the BOOSTERS. 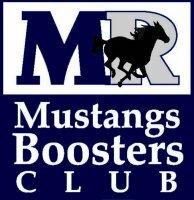 The money earned goes DIRECTLY to the students in the Marriotts Ridge community and ALL CLUBS, SPORTS, MUSIC, DANCE etc...benefit from significant contributions from the BOOSTERS Club! The CONCESSION STANDS NEED VOLUNTEERS TO KEEP IT RUNNING. Please sign-up for a slot (or two) and volunteer just a little of your time to a great cause-THE KIDS! DID YOU KNOW?? House managers open and close the concession stand for each and every event. These volunteers know how-to run the stands and can answer questions! MRHS students may sign-up for a slot for service hours when at least ONE adult is working. Students may not be the only people working in the booth. When signing-up please indicate if you are an ADULT or STUDENT. Remember an ADULT MUST be working each shift. Thanks for volunteering and supporting the MRHS community!